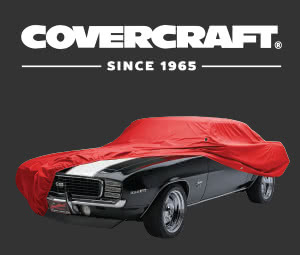 Let us help you understand any fault codes you may be experiencing with your vehicle. We can help complete a DIY service by resetting the service interval light for you. We can also perform other maintenance tasks which may require additional steps on newer vehicles, such as wiper blade service positions or battery replacement. 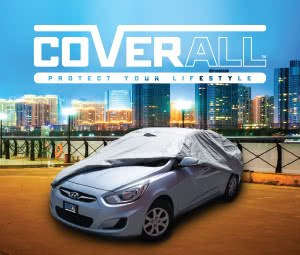 Available in 130+ Supercheap Auto stores across Australia. One complimentary follow up and system scan if required. Full System Analysis Completed in 20-30 minutes. Includes follow up visit, scan & reset. *Please be aware not all fault codes are able to be cleared. These days it’s not as easy as popping open the bonnet and finding the problem. Vehicles are now controlled by sophisticated engine management systems which are similar to your computer at home. Your engines computer is known as an “ECU” and reads and stores the fault codes from your vehicle. 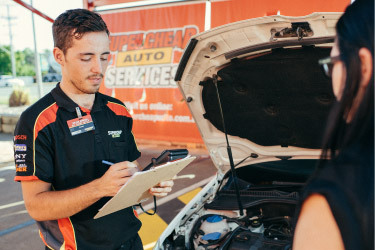 Up until now this information has only been accessible by mechanics with the specialised tool, however partnered with industry leader Bosch, Supercheap Auto now offer this service at selected stores. Bosch is a German multinational engineering and electronics company founded by Robert Bosch in 1886. Bosch's specialises in automotive components, industrial and building products which are available throughout more than 150 countries worldwide. In 2011 Bosch was recognised as the world's largest supplier of automotive components making them the ideal partner in an ever changing automotive industry. YES! Using the service is easy – our specially trained team members will connect the diagnostic tool directly to your vehicles OBD2 port. This relays any information back on any stored error codes. You will be provided with a hard copy report of the results including identified fault codes and descriptions. Will the test affect my car in any way? NO! The test is completely safe and will not have any affect on the warranty. To connect to your vehicles computer your car will need to have an On Board Diagnostics Port (OBD2). 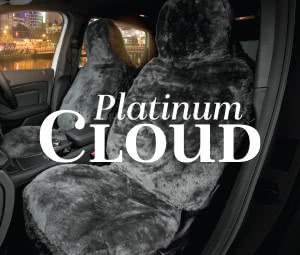 These were fitted to most vehicles after 1996, therefore dependent on the year of manufacturing there is a good chance your car will be eligible. I have a warning light on my dash, what happens if I ignore it? Your vehicle may enter ‘limp mode’ with limited drivability. Continuing to drive with the problem unrepaired could damage components of the vehicle, or could result in poor fuel consumption. It is advisable to visit us for a check as soon as you notice the warning light. Can I still use the service, even if I don't have a warning light? Yes! 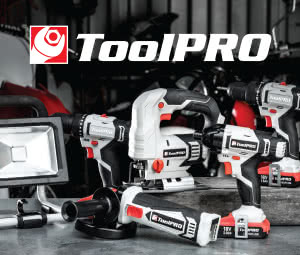 The tool can even reset the service interval warning lights if you’ve completed a DIY service. Some modern vehicles need a diagnostic tool to activate the wiper blade change position, as well as needing the tool to inform the vehicles’ ECU that a new battery has been installed. It can also help diagnose any problems which may be causing the car to run poorly, or suffer from poor fuel consumption. 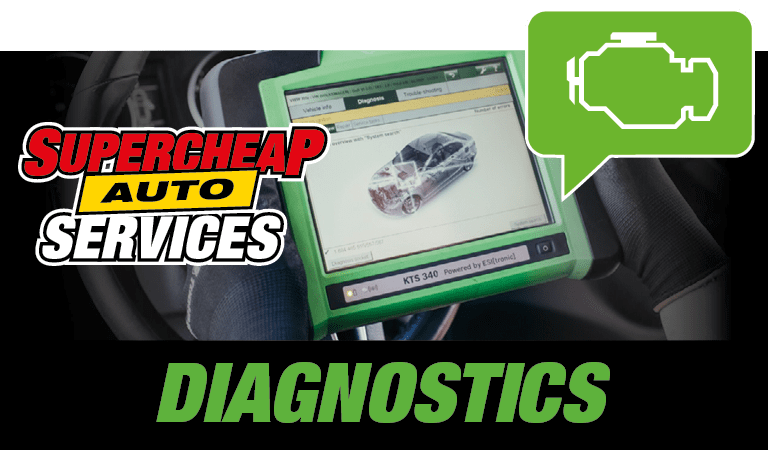 What is the most common check engine light problem? Although a check engine light can come back with any number of engine faults, the most common problem tends to be the Oxygen Sensor. This sensor can have a drastic effect on your cars ability to run smoothly, and can affect your fuel economy potentially by up to 40%. Learn more about Oxygen Sensors below. Oxygen sensors are a critical component of your engines operating system. 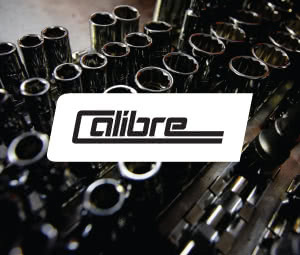 Fitted to most engines since 1980 and every new car off the factory floor today, they can be overlooked at general service intervals with detrimental results. The oxygen sensor is a physical sensor mounted inside the exhaust where it is able to obtain a reading as part of the emission control system. This information is then relayed back to the engine management computer where it can determine if it’s running as efficiently as possible while taking emissions control into consideration. Every engine has a perfect ratio of fuel and air delivery which allows it to run as well as possible. If your engine isn’t running within this ratio it may be running either too rich or too lean. Do I need to call ahead to book in a time? No, in most cases the store will be able to assist you straight away. However, during busy times such as weekends, a short wait may be necessary. 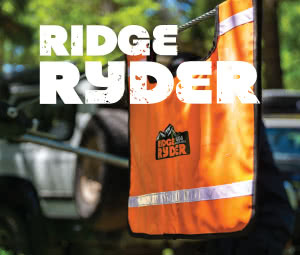 To scan your vehicle will take approximately 15-20 minutes for Level 1 and 20-30 minutes for Level 2. It may take longer where the vehicle has numerous fault codes present. So I've got my report, what do I do now? 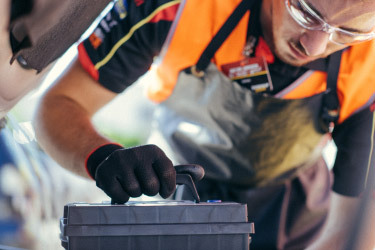 Knowing first hand what issues your vehicle may be experiencing can give you the confidence to make informed decisions about how to repair or service your vehicle. Fix It Yourself – If you’re the DIY kind of person we can help you order in any required replacement parts. 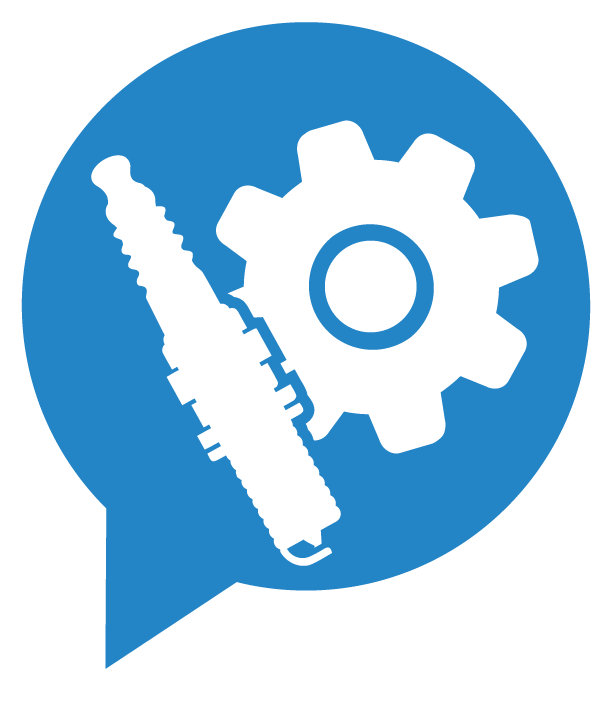 Book a Mechanic - using our Mechanic Finder tool, you can easily quote, compare and book local mechanics online. 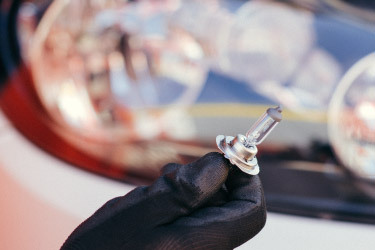 You are able to book a specific repair as per your diagnosis, a basic service or a logbook service. Our Team are trained to perform a 5 point assessment of your vehicle, for FREE! Drop into your local store* today and speak with one of our friendly Team Members who can complete this for you in under 10 minutes. Correctly operating windscreen wipers are vital for ensuring you have clear visibility whilst on the road adding to driving safety. 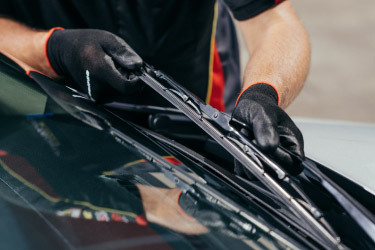 We check for any visible damage to wiper rubbers, arms and mounts that may impact the overall performance of your wipers. 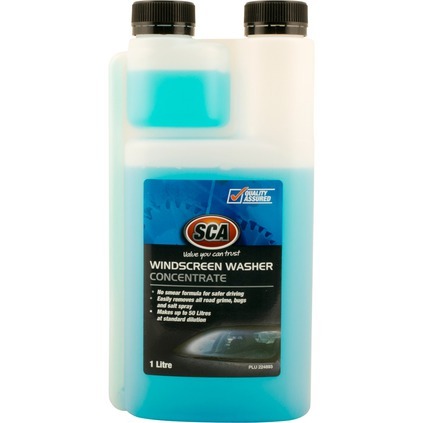 Working in tandem with your wipers, your washer fluid also plays a key role in ensuring you have the clearest visibility possible. We check the fluid level and also the correct operation of the washer motor and water jets. Should your fluid be low or empty we can help you to select and buy the best option and top it up for you, for FREE! Are your vehicle lights functioning? Driving without fully functional lights results in not only poor vision for you, but it also means other motorists can’t see you. Our Team will check all your vehicles lights including headlights, tail lights, indicators and brake lights. With our Industry Standard tester we will check your battery to determine its current power performance against its rated performance. This gives a good indication of the general health of the battery. Did You Know? Cold weather slows down chemical reactions inside a battery reducing its capacity. This same cold weather causes thicker engine oil, increased draw from the starter motor and higher loads from a vehicle’s electrical accessories. This places more than normal power demands on the battery leading to a higher chance of failure. If a replacement battery is required we can recommend the right one for your car, and fit it too*. 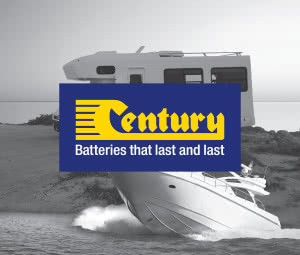 We can also recycle your old battery helping you avoid the cost and inconvenience of disposal. When you’re having trouble starting your car, the battery may not actually be the problem. That’s why we also check your alternator and starter motor. The Alternator is the component in your car that charges your battery when it has been used. If this is not operating correctly it will result in the battery going flat. 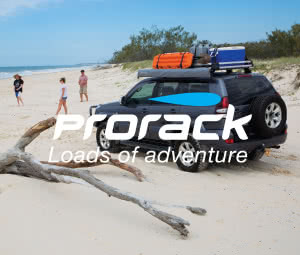 The Starter test checks the battery while the vehicle starts - the time when a battery is under maximum load. If the battery passes a test under no load but fails when placed under load, this generally indicates it has a bad cell and needs to be replaced. 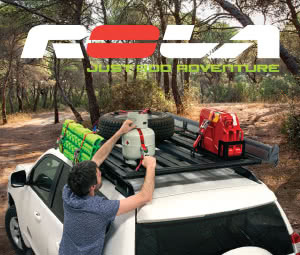 Again, we can advise on the best battery option for your vehicle and fit it on the spot! Did You Know? 98% of an automotive battery can be recycled! The components of the battery including plastic, lead and acid are re-processed and manufactured into a range of other products. 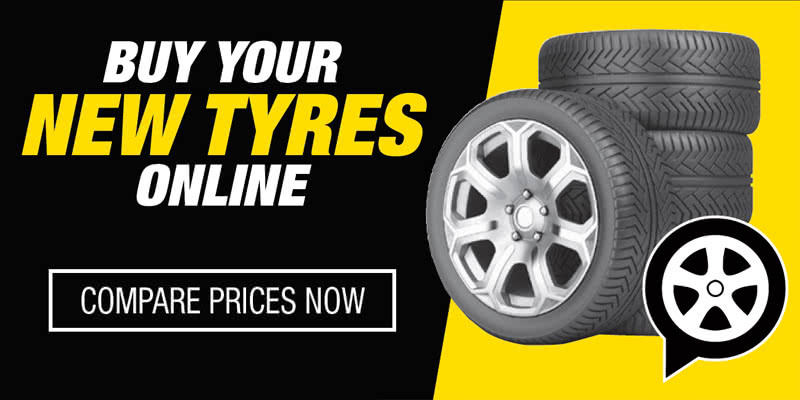 *Fitment is not available in the following stores; Bondi, Bowen, Dalby, Goulburn, Ingham and Swan Hill. 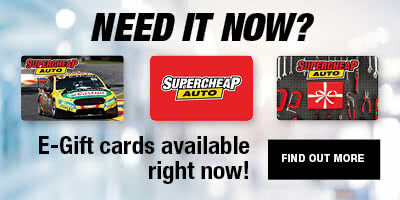 *Fitting service applies to products purchased in Supercheap Auto only. Pre-booking may be required. Fitting subject to inspection, weather permitting.